Chakra Round Disc Set by Natural Agate can be availed at a reasonable price. 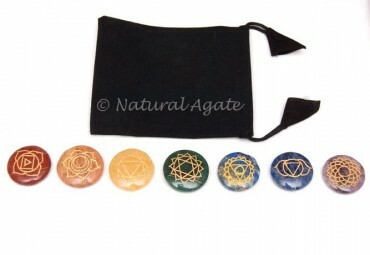 Each stone in the set corresponds to a specific body chakra. The symbol of that chakra is engraved on the disc-shaped stone.